A potential deal between Swiss watch company Swatch and e-commerce giant Amazon has stalled after discussions over policing counterfeits on the marketplace reached a stalemate. 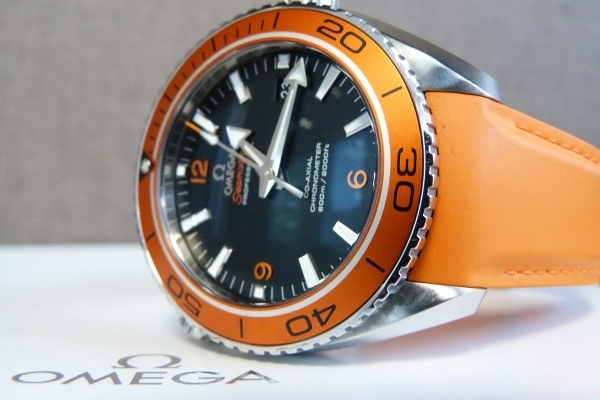 According to a report in the Wall Street Journal, the two companies had been talking for months about selling Swatch’s high-end watches such as Longines, Omega and Blancpain on Amazon. As part of an agreement, Swatch had sought a written commitment from Amazon to “proactively police its site for counterfeits and unauthorised retailers” but the tech giant refused, Nick Hayek, Swatch chief executive, told the WSJ. Progress on a deal has now ground to a halt as a result. “We add value to them. But they should also add value to the brand,” Hayek told the newspaper. The watch-maker’s position is that without stringent processes in place, Amazon risked undermining the exclusivity and premium prices of luxury goods; an opinion shared by many high-end brands. Amazon, which has been investing heavily in fashion and has been targeting luxury brands, declined to provide any comments on the Swatch deal for the *WSJ *article. The news comes as increasing pressure is placed on the online marketplace to thwart counterfeits, especially after a number of high profile incidents, including a mass recall of solar eclipse glasses in August when large numbers of fakes were found being sold online ahead of the solar eclipse in the US. Amazon has looked to actively woo brands to its platforms and crackdown on counterfeits following last year’s move by sandal maker Birkenstock to pull its products from the marketplace in protest of the continued presence of fakes. The National Football League and Major League Baseball also imposed bans on selling goods via third-party marketplaces over concern of fakes on Amazon. Only recently has Birkenstock announced it has reassessed the situation and “seen improvements”. Success for Amazon though came in June, when reports claimed that sports shoe brand Nike was partnering with the marketplace to sell shoes directly to consumers via Amazon’s anti-counterfeiting brand-registry programme. Nike was already trialling a pilot of a system that saw a stricter registration process for listing products online. According to reports at the time, the agreement would see Nike taking greater control over how its products were sold online to make sure knockoff shoes weren’t offered by third-party sellers, while Amazon was required to be more ruthless in its efforts to rid the site of counterfeits and dodgy vendors. Under the new brand registry programme, the registration process would be stricter, requiring sellers to register with Amazon and prove they have the brand’s permission to sell the brand-name goods online. The programme also provides brand owners access to tools such as machine learning to detect fakes and prevent bogus products being listed. Amazon also plans to include in the brand registry merchants and brands that currently don’t sell on the platform, with an effort to include thousands of companies this year.